Indicated for the treatment of hypertension. Treatment should not be initiated with these combinations. 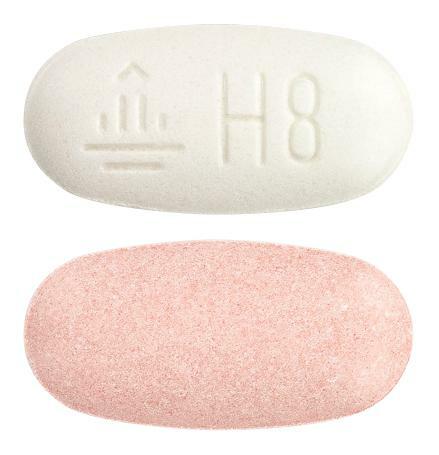 Oval, white-red, biconvex two-layer tablets, possibly with red specks in the white layer; the white face is marked with "H8" and the Boehringer Ingelheim company symbol.